Both India and China in separate statements on Friday have said the dispute in the South China Sea should be handled in a peaceful way and according to international law. Foreign Ministry spokespersons in New Delhi and Beijing have issues separate statements calling for maritime security in the South China Sea. Yi Xianliang, Deputy Director-General of the Department of Boundary and Ocean Affairs in the Ministry said “China is deeply surprised and shocked” at the recent developments. “Vietnamese vessels are colliding intentionally with Chinese vessels carrying out normal operations, trying to disturb and stop the drilling work by Chinese,” Yi said in Beijing. Syed Akbaruddin, Indian Foreign Ministry spokesperson said New Delhi will back “resolution of the issue through peaceful means”. “We believe that maintenance of peace, stability, growth and prosperity in the region is of vital interest to the international community,” said an Indian Foreign Ministry statement on Friday. “We would like to see resolution of the issue through peaceful means in accordance with universally recognized principles of international law. In this context, we also maintain that freedom of navigation in the South China Sea should not be impeded and call for cooperation in ensuring security of sea-lanes and strengthening of maritime security,” the Indian Foreign Ministry spokesperson added. The Chinese official said Beijing will move to resolve the dispute through diplomatic channels. “The Chinese company’s operation in waters off the Xisha Islands completely falls within China’s sovereignty, sovereign rights and jurisdiction,” Yi stressed. Chinese and Vietnamese government officials have met 14 times in recent days to “handle the sensitive issue”, said Yi. China’s state-run China National Offshore Oil Corporation (CNOOC) has moved an oil rig into the waters to which both Beijing and Hanoi lay contesting claims. Vietnam has claimed the drilling is illegal and has sent patrol vessels to the disputed waters. “Vietnam is sending more and more ships to the area. We need to have some forces around to avoid unnecessary loss and ensure a safe environment for the drilling operation,” said the Chinese Foreign Ministry official Yi Xianliang. China’s State Councilor Yang Jiechi had a phone conversation with Vietnam’s Deputy Prime Minister and Foreign Minister Pham Binh Minh on Tuesday, demanding that Vietnam stop disturbing Chinese companies’ normal work in the Xisha Islands. 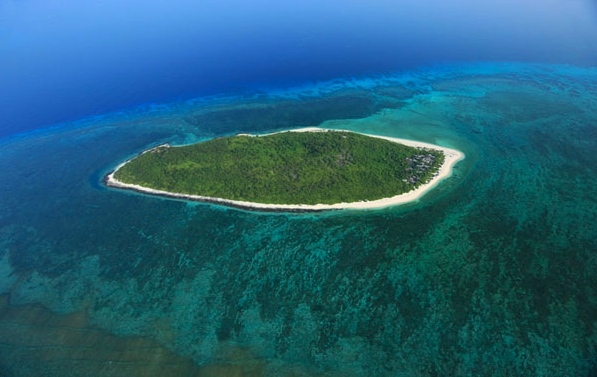 Beijing claims the Xisha Islands are part of “China’s inherent territory”. A Chinese Foreign Ministry spokesperson Hua Chunying has said “the activities of the Chinese companies in the Xisha Islands are within the mandate of China’s sovereignty and administration, which have nothing to do with Vietnam and the US”.